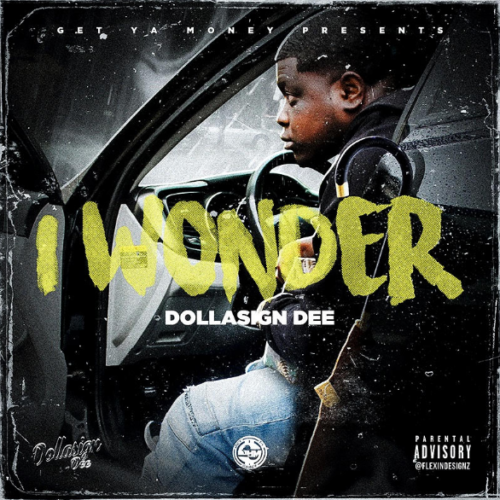 I Wonder starts with a motivational phone call from what sounds like one of DollaSign Dee's OG's. The sentiment in the callers voice is genuine, reassuring that Dee has his head on straight and is headed on the right path. This phone call serves as an interlude for "Different" a clear standout on this project. Dee then opens the intro with hard hitting bars "I grew up around crips and bloods, but i ain't never been no banger though" it is clear from the jump that Dee is different. Coming out of Killeen, Texas Dee's upbringing is on full display, he uses his voice to reflect on his experiences with full transparency and emotion which is backed by quality melodies and rap cadences. As you peel back the layers of I Wonder Dee's versatility is clearly his most impressive quality, by the time track 3 "Im The Man" comes around, Dee takes a full 180 transition of energy and proves that he has that southern bounce and range that could get him play in the club. I Wonder has a little something for everybody on here, check it out for yourself below and look out for more coming soon from DollaSign Dee.